GetAntsy.com gift certificates are a convenient way to offer loved ones the gift of Antsy Pants™ without needing to know what size or how many are desired by the gift recipient. 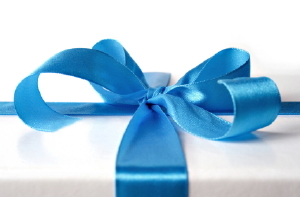 Your gift will be delivered via email and can be redeemed right here on GetAntsy.com. Customize the amount as you like and click the "Add To Cart" button below to add the gift certificate to your shopping cart. Type the amount you would like on the gift certificate into the box provided. Click the "Add To Cart" button above to add your gift certificate to the shopping cart. Click the "Continue Shopping" button if you would like to add more items to your order. You will return to the main shopping page. When you have finished adding items to your cart, click either the "Checkout" or "Check Out With PayPal" button to complete your purchase. If you want a card sent to the recipient of your gift, fill in the recipient's name and address into the shipping form. If you want the card sent to you instead, fill in your own address. Click "Continue" when you have completed the shipping form. Fill in the required billing information and click the "Finalize Order" button to purchase. Check your email for an email confirming your purchase. We ship to any country that is supported by PayPal. Please be aware that international orders can sometimes incur customs charges that will be your responsibility. More information on international shipping is available on our FAQs page.